Premier League action returns this weekend as ​Everton take on fellow mid table side Bournemouth at Goodison Park. Marco Silva's outfit have endured a largely inconsistent campaign so far having previously lost two on the spin to Brighton and Leicester City without scoring. Meanwhile, despite a tough run of results, Eddie Howe's Cherries have proven to be one of the surprises of the season and sit just below their opponents on goal difference in a healthy 12th position. Suffering losses last time out, both will be aiming to return to winning ways in this traditionally hot contested affair. Here's 90min's breakdown of Sunday's clash. Silva has a near fully fit squad for the visit of ​Bournemouth, with midfielder James McCarthy the only injury concern. The 28-year-old has been out since January 2018 after suffering a double leg break. Bournemouth are sweating the fitness of attacking trio Callum Wilson, Josh King and Ryan Fraser, whilst new signings Dominic Solanke and Nathaniel Clyne are pushing for a start. Meanwhile, defender Simon Francis is set to miss the rest of the season after suffering ​knee ligament damage in their boxing day loss at ​Tottenham. Everton​ ​Pickford; Coleman, Keane, Mina, Coleman; Gueye, Gomes, Walcott, Sigurdsson, Richarlison; Calvert-Lewin. ​Bournemouth ​Begovic; Clyne, Cook, Ake, Daniels; Brooks, Gosling, Lerma, Fraser; King, Wilson. Since Bournemouth's promotion to the top flight in 2015, this fixture has produced a remarkable 29 goals in just seven encounters. 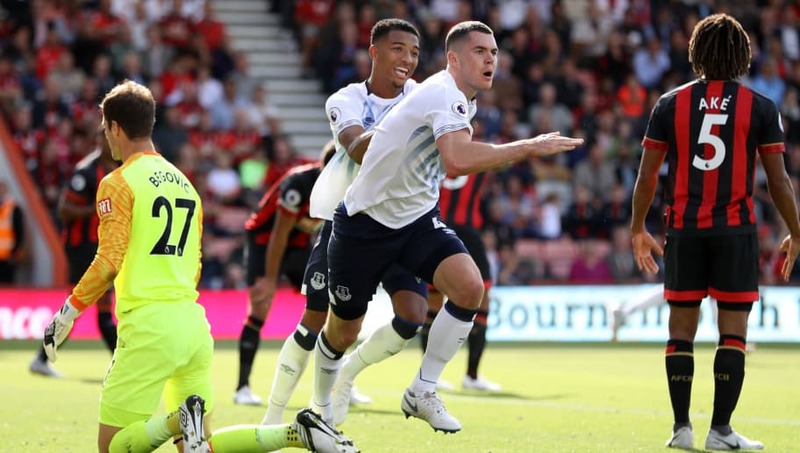 August's reverse fixture saw two red cards and four goals shared as ​the Cherries ​fought back from a two goal deficit through King and Nathan Ake to earn a point. After an eighth place finish under manager Sam Allardyce that eventually saw the former ​Everton boss sacked, a few eyebrows have been raised so far this campaign. Having won seven of the 21 games, Silva's side have shown glimpses of brilliance, whilst also demonstrating their defensive weakness - notably conceding ​six on home soil to ​Tottenham. If the Toffees are to avoid a lowly finish, they must tighten up in a side that's gone eight without a clean sheet. On the contrary, the Cherries have certainly earned their fair share of plaudits this term in their fourth season in the top flight. Collecting 27 points so far, Howe's side currently on course for their highest points tally - achieved in 2016-17 when they finished in a lofty ninth. Keeping hold of Wilson could be pivotal to their aspirations of a top 10 finish. The striker has been involved in 14 goals (nine goals, five assists) and has been ​linked with a number of Premier League clubs, including ​Chelsea. Despite an indifferent Everton campaign thus far, their home record has proved is impressive against their opponents - who have tasted defeat on each of the last three occasions to Merseyside. their respective campaigns. This is likely to be a tight affair on Sunday.